This is version 4 as running on my NAS. You can browse your collection in various ways. If needed you can configure this. This configuration allows me to browse by composer. If I select a composer, I get the compositions (album) and per album the movements. Unfortunately all the options to configure the tree are no longer available in server version 5. 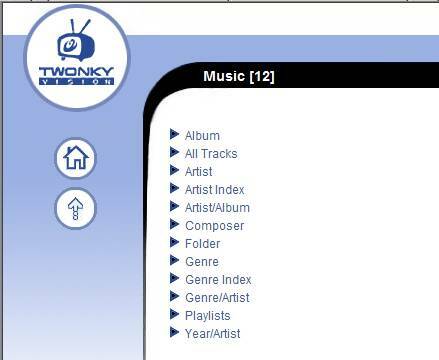 TwonkyServer is available for Windows PCs, Windows Home Server, Mac and Linux.